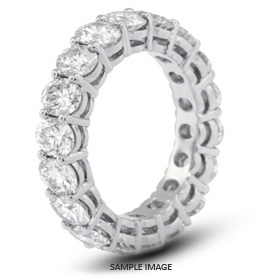 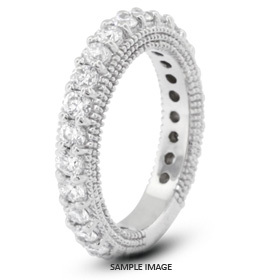 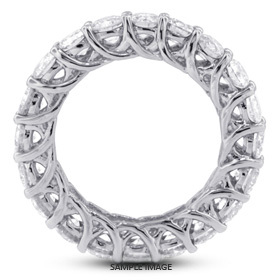 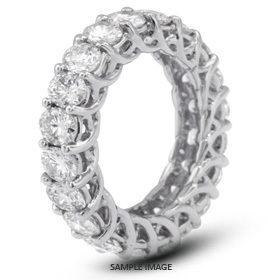 This stunning 14k White Gold Trellis Style Eternity Ring features 17 diamonds with a total weight of 4.25 carat. 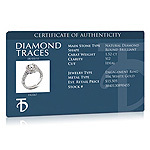 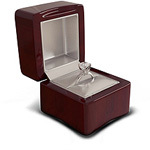 The diamonds were graded by AGI as Round Natural Earth Mined Diamond, G color , SI1 clarity enhanced and Excellent cut. 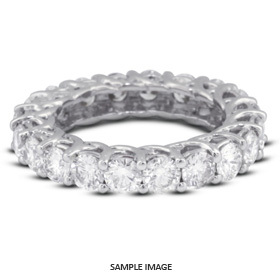 Our master jeweler sorted the for best matched in cut, color and clarity a then mounted them with 4-Prong setting to add more fire and brilliance to the ring.